Tonight was a pleasant evening photographing this sweet baby and her parents. She has a head full of hair and a sweet spirit. When I held her I started swaying and doing the "sh-sh-sh" thing you do when you hold a baby :) I think it is something I will always do when I hold a newborn baby. The great part of my job is I get to meet wonderful people like the Neuman family. They are gentle, sweet and wonderful people. I loved witnessing the raw emotion of excitement as he cut into the cake to find out if baby #2 would be a boy or girl.Thank you Neuman family for allowing me to photograph your family. I hope the photographs you've placed around your house brings you joy, and your LookBook (coming next week) will remind you of the story we told that day. I'd like to say a huge thank you to Emily and her mom for driving 3 1/2 hours from Alamogordo, New Mexico for Emily's urban-style high school senior photo shoot.We got some beautiful shots, and I can't wait to share all of them with her. Take a look at this beautiful girl. The Zaikowski's were brave as they exited the car into the cold breezy air heading towards the cotton boles. They started the shoot off snuggling in the cotton field and keeping each other cozy, and those became my favorites. After the cotton field, we headed to the local nursery, Guthels. They are always so kind their and let me photograph inside the greenhouses on windy days, so thanks Guthels Nursery and Penny.The nursery shots are some of my favorites of mom and dad. I love that she wanted to try the "Dirty Dancing" lift. You know what I'm talking about! It was awesome and hilarious all at the same time. And last but not least, Sasha, the momma, is a photographer in Oklahoma so I wanted to snap a few headshots that she could use for her business. I had a blast Zaikowski family!! Come back to Clovis and we will do it again! A big thank you to the Hanson family. I can't wait for you to see your fabulous 16x24 canvas gallery wrap and 16x24 print of your family, as well as the gift prints. They look so good! !It sure was hard narrowing down the shots, but they came to a final decision on some great shots. Take a look at the images they chose below. Some of my favorite shots from their shoot. I had so much fun with your Woodland family shoot. Remember the crazy cat who got stuck in the tree? That was awesome. Check out a few of the images the Zarikta's purchased for their home. This fabulous shoot was taken at the Underground Embassy. The Zaikowski's live in Oklahoma, but traveled to Clovis to visit family, and while they were here we did a family shoot. One location was a beautiful cotton field (thanks Mecca), which was a bit chilly, but hey-no big deal for the Zaikowski family.I am excited to see the favorites you select! I hope everyone had an awesome Thanksgiving! I am thankful for the Aucutt family, because they are one of the many families this year that has blessed my life just by me getting to work with them and photograph their family.I can't wait to see what the whole family selects as your favorites. Madeline came all the way from Alamogordo, New Mexico for her High School Senior shoot. Thanks for driving to Clovis and thanks so much for making my job so much fun. She is going to have a very hard time narrowing down her favorites. I am waiting patiently to see which ones they select! You will see more from her session in the next couple of weeks, and you don't wan to miss it. I just want to say a huge thanks to The Trollinger girls for being brave and putting up with the cold wind during your shoot. Despite the crazy weather, we were able to get some great shots.I am looking forward to showing them all of the photographs at their ordering and viewing session coming up soon! 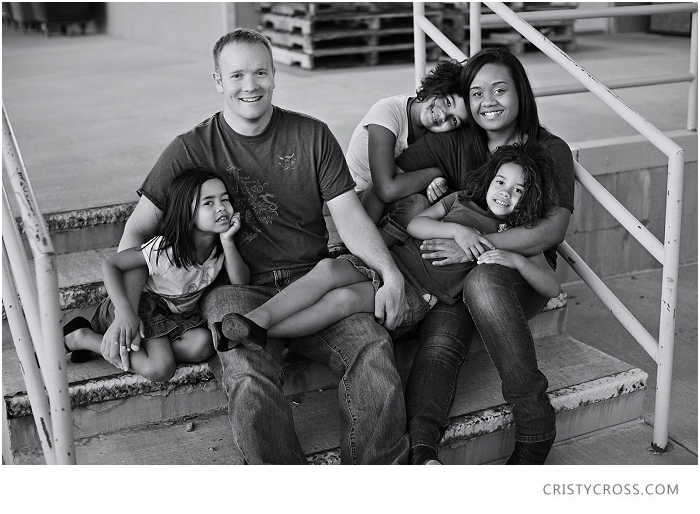 The Hobbs family session took place in the country in Clovis, New Mexico just like the Palla family (below this post). It was a beautiful day, and the soft sky light was gorgeous. My favorite family image is below...showing this crisp soft sky light right as the sun goes down.Thanks Hobbs family for a sweet and loving family session. I can't wait for your order to come in so you can display them throughout your home. I headed out to the country in Clovis, New Mexico for a Fall family session with the Palla's and the Hobb's. Thanks Palla family for choosing Cristy Cross Photography to capture the fun environment your family provided for our session. The Southard's live in Lubbock, Texas and traveled down for the weekend to visit with family and do our yearly portrait shoot. I've been photographing their family ever since their oldest was a newborn, and its so fun seeing them grow and watch their personalities blossom. 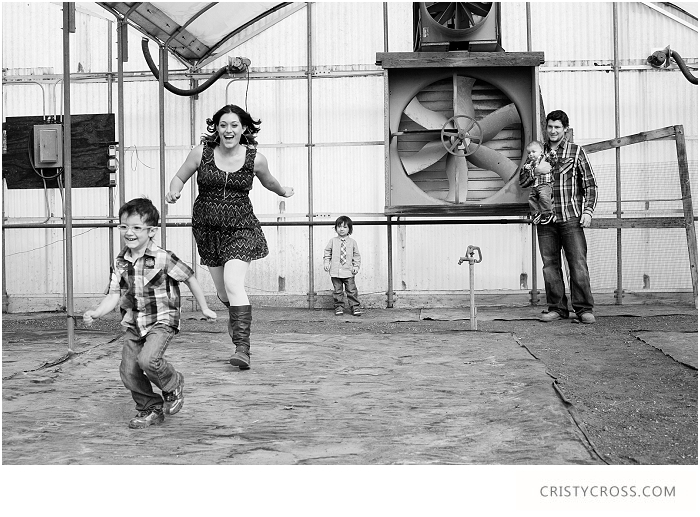 I can't wait to share more of their super fun Urban Style family portrait session. Thank you to the Burgin Family for a fun woodland themed shoot. I loved your tent, and I loved your sweet little faces!I love the images they selected, but I don't know how they did it. These images below are just a few of the ones they ordered for their home. The Burgin girls are so photogenic and take after their momma, needless to say their walls are about to be beautified. Oh my goodness the Begin Family is so cute! I can't wait for them to see their entire photo shoot. We so got some of the cutest shots. Oh my oh my.